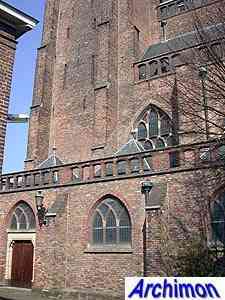 The history of Arnhem's oldest church begins in the year 1315, when the chapter of St. Walburgis, a group of secular canons, exchanged their home in Tiel for a new one in Arnhem. With the permission of count Reinald I of Gelre they founded a new immunity on a part of his court. The closeness of the immunity is still recognizable today, with the houses standing very close near the church. 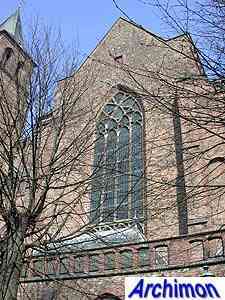 The church itself is a sober Gothic brick building, a pseudo-basilican church with a unique rectangular ground plan; because the church was used by the chapter only it did not need a seperate choir. 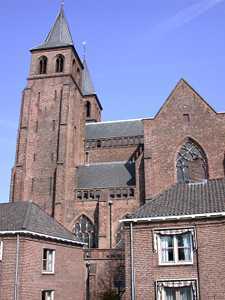 Another rare feature of the church is its front with two towers. 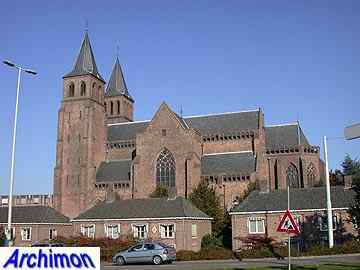 Not unusual in many other countries, but in the Netherlands such a front is rare for a Gothic church. 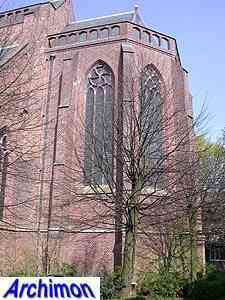 The Bergkerk in Deventer is another example, and probably the only one. The rectangular ground plan was disturbed when in the 15th and 16th centuries several chapels were built against the south wall. 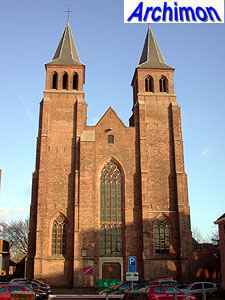 After the Reformation in 1578 the church was used as an arsenal and a prison because the protestants had no need for another church, the St. Eusebius being nearby. The stone vaults were demolished. In 1808 the church returned in catholic hands. A restoration in 1851-1854 was disastrous for the church. Architect Th. 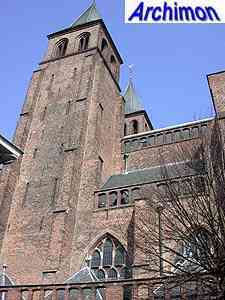 Molkenboer demonstrated his lack of knowledge of Gothic constructional principles, weakened several piers by sculpting them in new, more fashionable shapes, and as a result part of the northern tower collapsed. In 1855 the tower was rebuilt, and both towers were given new spires. Other additions were plaster and wooden vaults and a choir. 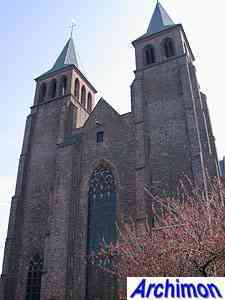 The southern tower was damaged in September 1944, when the church also burned out completely. Between 1947 and 1951 the building was restored to its 14th century state, except for the choir which remained, albeit less high.